MILLSBORO, Del. 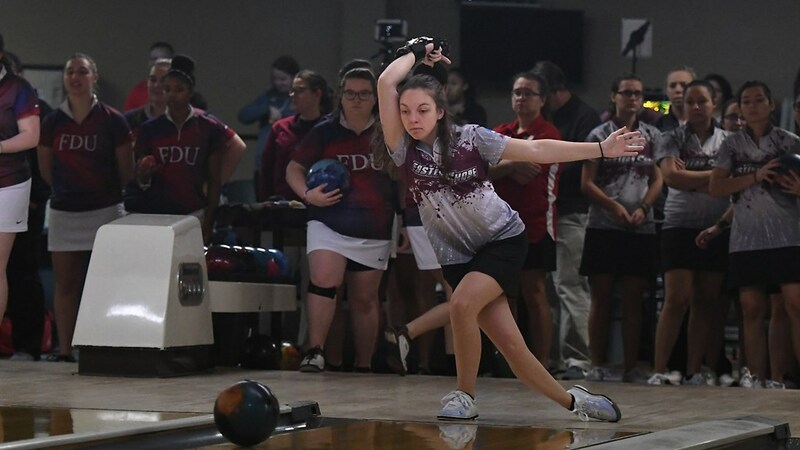 — Maryland Eastern Shore defeated Bowie State 2-0 on Saturday in the opening round of the 2019 NCAA Women’s Bowling National Championship at Millsboro Lanes, sweeping the first two legs of the Mega Match format. The Hawks advance to the national tournament on Thursday through Saturday, April 11-13, in Wickcliffe, Ohio. They will face No. 2 seed McKendree on Thursday. The match will be streamed live on NCAA.com. Maryland Eastern Shore opened by taking the traditional team game 865-750. Bowie State, the champion out of the Central Intercollegiate Athletic Association (CIAA), were game in the second round, which was Baker team pinfall format. The Bulldogs won the first, fourth and fifth games, but the Hawks — behind a strong third game — held a higher pinfall and clinched the win.